Why Is A Tiger Still Locked In A Cage At A Truck Stop In Louisiana? There is a truckstop in the middle of rural Louisiana where a tiger lives. That sentence was an entirely true one -- and just one part of the sad story of "Tony the truck stop tiger." Surrounded by loud noises and fumes from diesel trucks that rumble through the station, Tony has long been the target of animal welfare advocates. The House voted 67-26 Friday to send the measure by Port Allen Sen. Rick Ward, a Republican, to the governor. Ward's bill would exempt Michael Sandlin - owner of Tiger Truck Stop and a 550-pound Bengal tiger named Tony - from state restrictions on owning exotic cats. In addition to exposure to noise and diesel fumes, Tony is taunted by truck stop visitors. His enclosure lacks adequate enrichment. He has no pool of water to cool off in the blazing heat of the summer. As a result of this stressful confinement, Tony constantly paces in his enclosure, putting him at risk for dangerous and painful veterinary conditions. 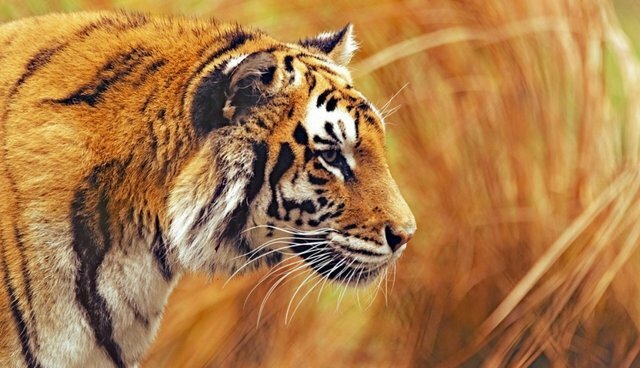 His suffering demonstrates the problem of privately-owned tigers, whose numbers exceed that of wild tigers. Tony the truck stop tiger is kept in miserable conditions at a roadside attraction, with loud noise and constant diesel fumes constantly around him. Join us in calling for Tony to be moved from the truck stop to a big cat sanctuary to live out his life in a more natural environment.